So twice now from three races Sebastian Vettel has beaten the pole sitting Mercedes. A pattern is emerging that shows the Mercedes may still be the outright fastest car when everything is optimised for a low fuel qualifying blast but over a race distance, the Ferrari has the edge. Just as in Melbourne Vettel was able to sit on the tail of the leading Mercedes without suffering too much from the turbulence and once in front was able to pull out a comfortable lead which even Hamilton, at his charging best, was unable to cut into to any real degree. This time however, the pole sitting Mercedes was not Hamilton. Valtteri Bottas may have been a little underwhelming so far but his Q3 lap to claim pole was simply, well, scintillating. In Q2, Hamilton, Bottas and Vettel were all within 6/100ths of a second of each other with Hamilton shading Bottas by exactly 0.020 and Vettel 0.041 back. In Q3 the Silver slings were again just separated by 2/100ths, 0.023 to be exact but this time it Valtteri on top. To emphasize just how good a lap it was, Vettel had improved on his Q2 time by almost 4/10ths but was still a worrying half a second behind the flying Finn. Other star performers in qualifying this time were Jolyon Palmer, who finally got a clean run through the first two days and got his Renault into the top ten, albeit still three places behind team-mate Hulkenberg, and Pascal Wehrlein who lined up an impressive 13th on his return from injury in the Sauber, which is supposed to be the slowest car out there. The fact that he outpaced Esteban Ocon who beat him to the Force India drive must have been extra sweet. Unfortunately for Bottas a problem on the grid with a generator meant that his rear tyre pressure was too high as they set off and as a result he lacked rear grip through the first stint, The question this time is could he have pulled away from Vettel anyway as the Ferrari looked to be doing the leaders pace very, VERY, easily. In the end it may not have mattered as Bottas’ race pace after changing tyres was not on a par with either Vettel or Hamilton anyway and he dropped away to a fairly distant third place only just ahead of a recovering Raikkonen. Kimi had a shocker of a start dropping to seventh behind Massa but this started what was a pretty storming race from him. After a few practice lunges kimi outbreaked the Williams driver into turn one on lap seven and was closing quickly on Ricciardo for third (Vettel had already pitted and Verstappen retired with brake failure) when he pitted for fresh tyres on lap 12. As sometimes seems to happen to Raikkonen his stop coincided with Carlos Sainz having a brain-fade and plowing into the side of the unfortunate Lance Stroll after exiting the pits. Stroll must be starting to wonder just what he needs to do to finish a race as not one of his retirements can really be laid at his feet. 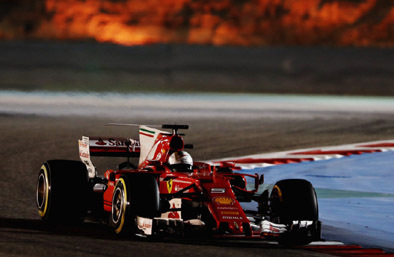 This brought out the safety car and Kimi found himself now down in eighth place behind Felipe Massa, again…That battle was rejoined and on lap 24 Raikkonen replayed his earlier move at turn one and set off to haul in the large gap to Bottas, in the end falling just two seconds short. Quite probably though, the best of the race was at the other end of the field. The dice between Alonso, Kvyat, Palmer and Wehrlein was an absolute ripper with places changing multiple times per lap for a while. King Fernando was having another of those races where he has wrung the neck of his hobbled McLaren-Honda to make up the most unlikely places through the corners only to be gobbled up by the other squabbling trio down the straights. He described the power deficit of his Honda package as “quite impressive” and it showed. All too often he was overtaken by a car that had been anything up to 100 metres behind coming onto the start/finish straight. This often meant that the quartet would brawl their way through turns one to five swapping places and occasionally body-work in a very entertaining struggle for what would eventually become last place. There sometimes is simply no justice. Speaking of entertainment, if you can get to see Sunday’s Formula 2 sprint race, do so. 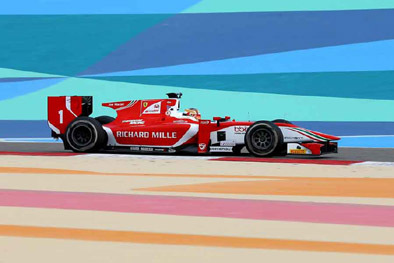 Charles Leclerc started the reverse grid race in sixth but quickly moved into the lead of the 23 lap race and pulled out a six second lead before pitting to change tyres on lap 15. On exiting the pits he was 21 seconds off the lead and in 13th place and no-one in front of him was going to stop. By the end of lap 16 he had moved up one place and on lap 17 took another three places to be just out of the points in ninth. Lap 19 saw two more positions fall to the flying Monegasque as did lap 20 and 21. Leclerc was now in third place some three seconds back having made up ten places and 18 seconds in just six laps. Even that would have been good enough to report on but as they entered the start/finish straight to begin the final lap Charles was right on the tail of second placed Oliver Rowland and swept by into turn one. Three corners later leader Luca Ghiotto ran just a touch wide on his fading tyres and Leclerc was through to take one of the most astonishing victories I have seen in many years. McLaren have announced that King Fernando will skip the Monaco Grand Prix this year to drive at the Indianapolis 500 in a McLaren entered, Andretti Autosports run Dallara Honda. Alonso has described it as one of his dreams to emulate Graham Hill and win the “triple crown” on Monaco, Indy and Le Mans before he hangs up his helmet. He will be taking over the entry of Stefan Wilson, the brother of the late Justin Wilson, who had arranged a one-off drive with Andretti for the event. Apparently the idea began as a joke by Zak Brown before the season began but the thought fermented and an agreement was arrived at before practice in Shanghai last week. The deal with Andretti was then completed in just a couple of days with Wilson agreeing to pull out in Alonso’s favour. Alonso will not be the first champion to skip Monaco for a crack at the 500. Way back in 1952 Alberto Ascari took one of the previous years Ferrari 375s to the brickyard but that venture was a failure. In 1965 Jim Clark made the journey work and won the 500 in the beautiful purpose built Lotus 38. Both of these drivers went on to become that years F1 World Champion. I have a sneaking suspicion that Alonso will not emulate that fact this year. So who will replace King Fernando at Monaco. I guess Button, as the teams official reserve driver, is the obvious answer but the more you think about that the more unlikely it becomes. In his mind he has basically already retired. He has been doing little training, no actual testing and probably minimal simulator work. What would his motivation be? A one-off drive, while not in peak physical condition, with bugger-all chances of any decent result. 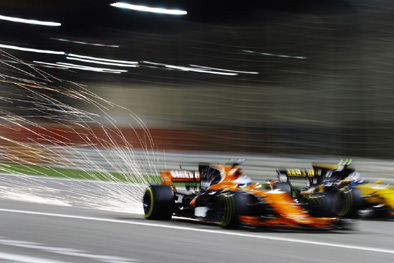 Unless someone can be arranged to partake in the test session coming up just after the Bahrain GP beginning on Tuesday, whoever lands the drive will have minimal preparation, especially if it is their F1 debut. It will also need to be someone who is contractually available. There are a few recent F1 rejects that could step in. Felipe Nasr perhaps is the most likely of those. I can’t see Gutierrez or Haryanto getting a phone call anytime soon. Short of Lando Norris I don’t know that McLaren has anyone in junior categories that they can call on and Norris would not have the necessary licence in any case. I’m sure Honda would not mind giving Nobuharu Matsushita a chance but would McLaren go for that? So, someone unexpected that would generate some welcome positive publicity and be happy with a competent performance possibly? I have an idea that, although completely out of left field (to use another US sporting term), could tick all the boxes. Robert Kubica………..Think about it. What a great story that would generate and no-one would be talking about Honda’s woeful performance. He has the required licence. He has no current contract, as very conveniently he pulled out of his drive in the WEC with the ByKolles squad earlier this week. Coincidence??? Guaranteed competent performance. The demands of the current generation F1 car would not be too stressful around the streets of the principality so Kubica’s arm could probably deal with the strain. Even if he came dead last I’m sure that he, and all F1 fans would love such a moment, so Zak, and Liberty, please give it some thought. Pascal Wehrlein has withdrawn from the Chinese Grand Prix this weekend due to ongoing fitness concerns after he injured his back in an accident in the Race of Champions event in January. It was probably always unlikely that he could participate in Shanghai after he withdrew after Friday practice in Australia. As per the Australian Grand Prix his place will be taken by young Italian Antonio Giovianzzi who impressed all with his performance at Albert Park. With just one practice session to his credit he only just missed the cut for the second qualifying session and lined up 16th on the grid. He then drove a steady race to finish just two places out of the points in 12th place. He believed he could have done even better if he had pushed harder than he did. With his lack of practice he was not aware that his tyres would not degrade as little as they did so he spent much of the race not really pushing. There seems to be little chance that Wehrlein is likely to be back to full fitness for the third round in Bahrain in just another weeks time so will probably be back in the Sauber for the Russian race at the end of the month. That’s as good as I can do with a play on words describing Ricciardo’s miserable AGP. As testing hinted the Red Rag is not yet quite on the pace and while trying to drag out that last ounce of performance Daniel stuffed it backwards into the concrete wall during qualifying to begin what would be probably his worst weekend in his F1 career. It seemed that he may have gotten away with no major damage but on Sunday morning the news filtered through that he would need a replacement gearbox and therefore cop a five grid place penalty which should have seen him line up in 15th place. But then the new gearbox decided to give him nothing but neutrals on the warm-up lap and his car hame to a halt around the back of the track before he even got to the grid. With about ten minutes to go before the start his car was brought back to the pits on the back of a truck and the team got to work to fix the issue. Sadly not quickly enough. The race was two laps old by the time he made it out onto the track to the cheers of the assembled multitude but then his woe was complete after just 25 laps when the Renault engine said, nah – no more, and the car silently rolled to a stop, giving him another long sad trek back to the pits. Ricciardo’s Albert Park luck is starting to look a bit like Webber’s. If it ain’t bad, he doesn’t have any. Having somewhat more luck, in that he had no real problems all weekend, was Dan’s former team-mate Sebastian Vettel. A solid showing through Friday and Saturday saw him line up on the front row and hound Hamilton throughout the opening stint. His slice of good luck came when Lewis had to pit relatively early for fresh tyres and became stuck behind Max Verstappen for six laps. 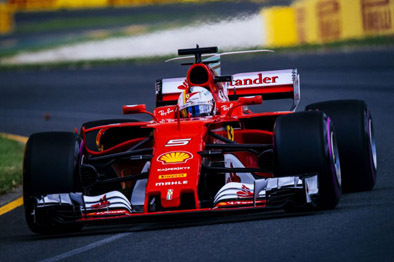 When Vettel had completed his tyre stop he rejoined just metres ahead of the Silver Sling and with Albert Park being what it is, the race for the win was effectively over unless the Ferrari konked out. It didn’t. Seb won their first race in eighteen months amid joyous scenes in the Ferrari pit box. It seems that their testing pace was real and that we may just have a real inter-team battle for the championship this year. I just hope Red Bull can join in the fun at the front. There has been much speculation about the new breed of cars. (1)How much faster would they look? (2)Would they give us good, close racing? The answers were (1) A lot. The grip now on hand meant that the turn-in to some corners looked brutally fast and the accidents to Ricciardo, Stroll and Palmer showed that if you crossed that fine line, there was absolutely no chance of saving the slide before you bit the wall, or more accurately, the wall bit you. (2)Possibly not, but this was Albert Park which has never been a circuit given to overtaking so no real conclusion can be drawn at this time. China and Bahrain should give us a better indication. I like to think that I am a proud Australian but really – as a “race”-track, Albert Park blows chunks. It almost certainly won’t happen, despite the rumours, but bring back Adelaide. Nicer city. Better atmosphere. Barossa Valley vineyards. Way, WAY better racing. The rest of the form did, for once, appear to confirm the relative testing pace from Barcelona. Mercedes are still quick but will not dominate as they have recently. Lewis was easily on pole with new-boy Bottas starting third. Their race-pace is not as impressive though and over a long stint they would appear to be just shy of the Ferraris. So Ferrari 1st and 4th. Mercedes 2nd and 3rd is a pretty accurate guide at this point. 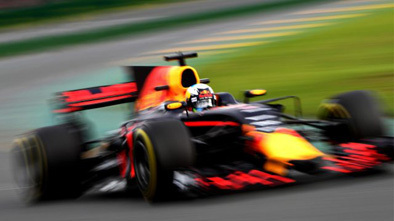 Red Bull were easily third quickest but have about a second to make up to really join the fray at the front. 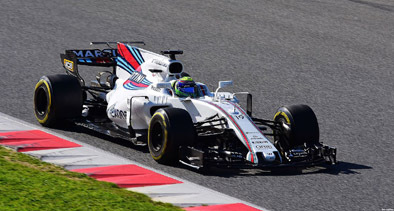 Williams are next, although Stroll did start at the back due to his Williams shedding its right side wheels in a meeting with the concrete on Saturday. When the Haas can stop, it has good pace, as displayed by Grosjean planting it on the third row without any brake problems. Unfortunately then both Haas cars did stop during the race, but at least neither with the braking problems that have plagued them recently. Romain had a massive water leak, that resembled an engine detonation and Magnussen completed a miserable weekend by retiring with suspension failure after clouting Ericsson early in the race. Toro Rosso were a pleasant surprise being easily the next best, well clear of the Force Indias. 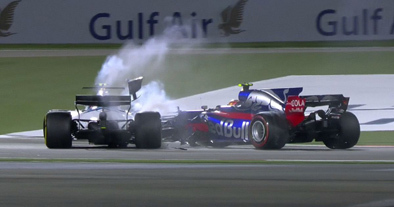 Both Sainz and Kvyat started and finished in the top ten. We all know that Sainz is meant for greater things some day but it was good to see a return to form for Kvyat. Danii struggled after his demotion from Red Bull last year but was right on Carlos’ pace this weekend. Both the Force India boys also ended in the points which may have been more than they were expecting at this point. Perez came home with a healthy seventh place after a fine drive while Ocon scored his first point after a race long fight with Hulkenberg in the Renault. 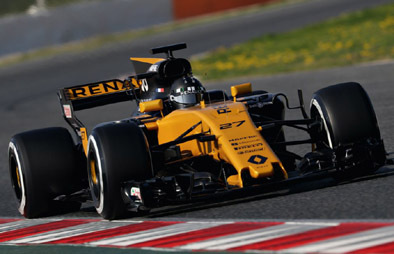 Despite Palmers misfortune, the Renault showed that it does have the promise of being able to fight realistically for points this year and Nico was unlucky not to score on his debut with the team. From somewhere, deep down, King Fernando managed to plant the McLaren 12th on the grid and ran for a great deal of the race in a points paying position before he also had to give in to a suspension failure with just seven laps to go. Vandoorne was not quite so fortunate, having to make an early and lengthy stop to reboot his electrical system after his dash/steering wheel display went AWOL early in the piece. Still, considering their testing woes, this was a vastly encouraging meeting for the McLaren boys. You would have gotten long odds, two weeks ago, that Alonso would be running in the points and Stoffel would make it to the finish. 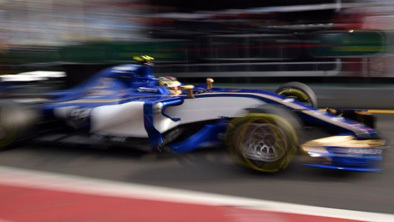 Finally Sauber also had a promising weekend. It is still probably the slowest car on the grid. Using last years Ferrari engine doesn’t help, but they made the best of everything and qualified well in 14th and 16th places. Yes, Ericsson retired early on after being assaulted by Magnussen but young Antonio Giovinazzi had a fine debut after being a late replacement for the still injured Wehrlein. Pascal made the brave, and unselfish, decision to pull out after Fridays practice knowing that his fitness was not up to scratch after his recent back injury – suffered in the recent Race of Champions event. This gave Antonio just one practice session to learn the track before heading into qualifying where he ended up just two tenths shy or Ericsson. 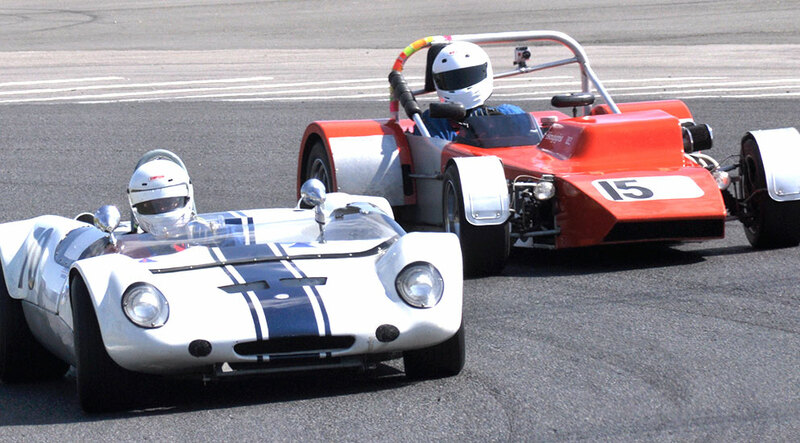 He then drove a mature race to finish up just two places out of the points in 12th place. A fine effort from a driver we will hear much more of in the future. 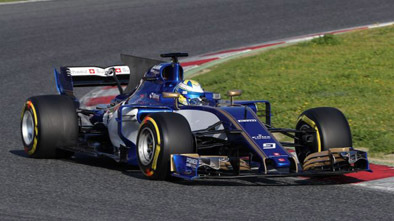 It will be interesting to see just who lines up for Sauber in China in a couple of weeks time. Will Pascal be back at full fitness or will Antonio get a proper run in Shanghai? Well the second week of testing at Catalunya seemed to confirm the opinions of most as to where the teams ranked in preparation for this years championship opener in Melbourne. I say seemed as no-one really knows if some teams, say Mercedes and Red Bull, were showing their full potential except some of those within the teams concerned. But us mere mortals on the outside can only go with what is put in front of us and it appears that the Ferrari is as quick as it is ugly and will be battling the Mercedes on a regular basis this season. This might just give us one last hurrah from Kimi as the Ferrari appears to supply him with everything he delights in, plenty of front end grip on corner entry and buckets of traction on the way out. He was clearly revelling in this while on his way to the best testing time of the winter with a 1’18.634, the only guy to break the 79 second barrier. This fares rather nicely with his own existing lap record (for this configuration) of 1’21.670 set in 2008 and Hamilton’s pole time of 1’22.000 from last year. Not quite the five seconds the powers that be were after but we are not at qualifying for the Spanish Grand Prix yet and there will be many more developments to come, even from the front runners. And Vettel wasn’t toooo far behind. So the Ferrari, which is about as easy on the eye as a steroidal warthog with boils looks to be the biz. What of the others. Mercedes would appear to not yet have unleashed its full potential. Lewis claims not to have found the sweet spot so far and was shaded by new-comer Bottas, but just four one-hundredths covered the pair who lurked around three tenths off Vettel’s pace. A little more worryingly for the Silver Slings, they don’t seem to have the pace on race tyres that some of their rivals have displayed. But who knows just what games they may be playing, I guess we might find out in Melbourne next week. Similar thoughts may be offered about the Red Rags who will probably show better in Melbourne than in this latest outing. Some irritating Renault “ishoos” blighted their second week and they were again fractionally back on the Mercs but just what a certain Mr Newey has in tucked away at the back of his very big brain, only he knows. Making a nice jump forward seems to have been the Williams. The un-retiring Felipe was fastest on day one, second on day two just a tenth off Bottas and Stroll didn’t go hurling it at the trees this time so this time they managed to get through their programme without too many glitches, showing some good pace and reliability. Hopefully they can keep up with the top teams development through the year and don’t slide slowly backwards as has been the record of recent seasons. The arrival of Paddy Lowe, who arrives from Mercedes as chief technical officer and starts later this week should help in that regard. Renault also appear to have made gains through the mid-field and are well in the mix with the likes of Force India (who have a pretty new pink livery – no mistaking them for a McLaren now) and Toro Rosso who both showed marked improvement from the first test last week. Both the Renault and the Toro Rosso boys shared the engine gremlins of Red Bull over the last few days but Sainz and Hulkenberg ended an encouraging seventh and eighth respectively with the Force Indias of Perez and Ocon just a couple of tenths behind. Propping up the mid-field at this juncture are the Haas lads who are STILL struggling with braking problems and a change away from the Brembo gear may not be too far away. Sadly again well off the pace were the McLarens, whose Honda engines had neither power or reliability. Not a single race distance simulation done in either test and already they have eaten what would be one cars entire season allocation of engines. Combined they completed less laps than eleven other individual drivers. And they were slow laps. King Fernando’s best was close to three whole seconds back from Raikkonen. 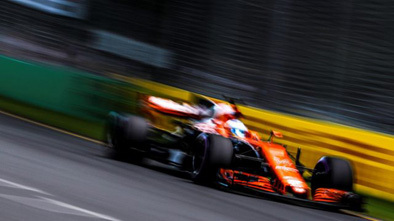 There is a whole lot of work to do back at the Honda factory and it will not be great to see such talent as Alonso and Vandoorne squabbling away at the back of the field. With the Saubers. Beautiful looking car. Lovely paint scheme. No pace. Decent reliability. 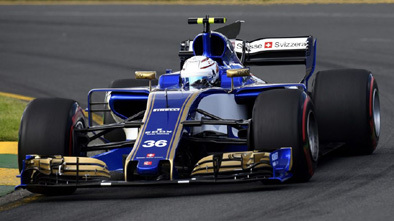 It may well be that the Saubers start at the very back but there is a very real probability that they will finish ahead of the McLarens in Melbourne. Just because they finish. Lets hope they can also find some performance bits to take them back into the mid-field where we all know they should at least be…..
As a post-script there is a whisper that McLaren have had a chat to Mercedes about a supply of the engines that were due to go to Manor. Mercedes would not agree to a deal while McLaren have an existing engine contract (much as they wouldn’t with Red Bull a couple of years ago) but if the Honda situation doesn’t improve……….never say never. Could there be a McLaren-Mercedes before season’s end?